Two storey converted warehouse in inner-city Melbourne, Australia. Our modern two storey warehouse conversion with exposed steel trusses, soaring ceilings, polished concrete floors and designer kitchen is contemporary inner city living at its best. Comprising an indoor/outdoor opened planned living/dining area, two bedrooms (master with king-bed and guest room with queen bed), two bathrooms, courtyard and laundry our home is a fantastic inner-city retreat suitable for couples or families alike. The house includes an integrated Mac/Bose entertainment system, wi-fi throughout the house, sports equipment as listed and in addition, the house comes with a car and fuel card should you wish to travel around Melbourne, Victoria, or even interstate, the choice is yours! Our home is situated just off the trendy streets of Fitzroy which offers vintage and boutique shopping, cafes, restaurants, galleries and wine bars. Located on the city’s doorstep you are within easy walking distance to the city, its theatres, galleries, shopping and dining as well as Melbourne’s internationally renowned sporting precinct where you can experience a game of ‘Australian rules football’, rugby, tennis or cricket. If your feet are sore from walking, you will find that there are plenty of tram routes only minutes away from our front door. These tram lines will take you straight to the city, the Melbourne beaches and the docklands waterfront precinct. Depending on the time of year you chose to visit, Melbourne is the proud host of the Australian Grand Prix, The Australian Open and the Melbourne Cup. We are looking for an extended house swap (of up to 3 months) in the second half of 2012. We are flexible with dates and we would certainly be interested in discussing any opportunity for swaps of any duration in any part of the world. An extended stay Melbourne will allow you to get to know the city intimately and fall in love with its arts, culture, sporting passion, beaches, culinary delights, baristas, bars and beautiful gardens. •	a car, bikes, surfboards, fishing equipment and … skateboards. We are a Swedish/Australian couple in our thirties. Katarina is a lawyer and John is a property developer. 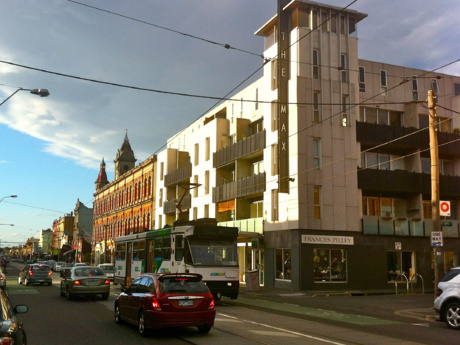 We love to travel and whilst at home all things that inner-city Melbourne has to offer. Easy Tiger, Wooden Spoon, Cutler & Co, Ladro. Panama Room, Grace Darling, Radio, Little Creatures, Enoteca Wine Bar, South Paw. Arcadia, Birdman Eating, Proud Mary, Cavallero, Three Bags Full. Various vintage shops and fashionable brand boutiques. Numerous galleries and short walk to the city theatres. 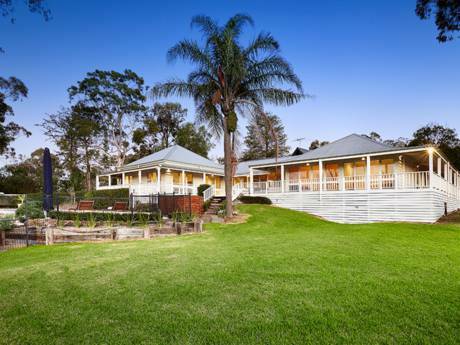 Walking distance to beautiful Carlton and Fitzroy Gardens. Bike ride or run through the botanical gardens or along the Yarra River. Great Ocean Road, Bells Beach, Twelve Apostles, Sorrento & Portsea, Yarra Valley wine region, the Grampians, Melbourne Zoo, Healesville Sanctury and Werribee open range zoo (get up close with Australian wildlife) and Phillip Island (see the fairy penguins). Week-end trips: Sydney (1h 20 min flight), Tasmania (50 min flight), Adelaide (1h flight) and the Barossa Valley Wine Region – or alternatively, take the car and drive.